At one time in the past, auditors used to merrily sign audit reports without a care in the world. All that one had to do was add a few carefully worded qualifications. The accounts could be fearlessly signed off as being “true and fair” after this. However, Piyush Goyal, the illustrious Minister in NAMO’s government, sent the clear message that the shenanigans of the CAs would not be tolerated anymore. “If all chartered accountants come together and decide that they will only practice honesty, then the problem of corruption in the country will be resolved,” he said in a stern tone, implying that there is rampant corruption in the manner in which CAs do audits. He also accused CA’s of doing/ facilitating “टैक्स की चोरी” (Tax evasion). NAMO also blasted the CA community for facilitating black money hoarders during demonetization by devising all sorts of illicit schemes. Naturally, some CAs got their knickers in a twist at the plain-speaking by NAMO and Piyush Goyal. However, public opinion is clearly supportive of the stance of the Hon’ble Ministers especially after the PNB NPA fiasco when the auditors were caught napping. SEBI also moved swiftly and banned Price Waterhouse Coopers (PWC) from conducting audits. 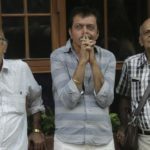 However, the baffling aspect is that despite its dubious reputation and the ban by SEBI, PWC was chosen by the Government to investigate the PNB NPA scam. Naturally, this aroused the ire of the intelligentsia. PNB appoints PwC to investigate fraud! It is absurd as PwC is recently barred by SEBI from issuing audit certificates for any listed companies. This audit firm was found complicit in falsifying Satyam Accounts that resulted in around Rs.10000/- crore scam! An unknown micro-cap (Rs. 400 crore) named Atlanta Ltd is the latest where the auditors have developed cold feet. Asha Ramanathan, the distinguished partner of PWC, dashed off a terse letter in which she accused Atlanta of not disclosing “adequate and relevant information and explanations”. She announced that because of this, PWC was resigning from the post of auditors. The management adopted a belligerent stance and claimed that it was “quite astonishing” that the auditors resigned instead of “addressing on resolving off audit issues”. As usual, investors bore the brunt of the stand-off between the management and the auditors. Atlanta is locked in the 20% lower circuit and has effectively blocked everyone’s escape route. The MMB punters at the Atlanta counter make a pitiable sight. “How many LC. …….??????? ?” one punter sighed, resigned to his fate. “Dhoka. …..Fraud. ……Loss to Investors. …..,” another wept, his voice choking. 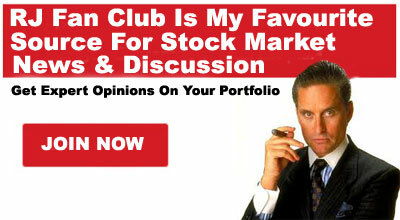 Why not point out issues & give a qualified opinion? 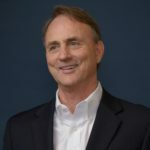 Why Resign and leave shareholders wondering? At last auditors understood their responsibilities. Shankar Sharma was vicious in his criticism of the Big-4 auditors. “I will never invest in a company that's audited by the so- called Big 4,” he fumed. However, not all of Shankar’s followers were convinced by his stance. You mean it’s safer to invest in a certain XYZ with jhanoori Lal and sons as auditors ?! Happily showing a 50% jump in profits year on year ! Local small firms are no better. They are highly “accommodative” and never resign. At least big 4 resigns when things are out of control but local small firms never. This is from personal experience. 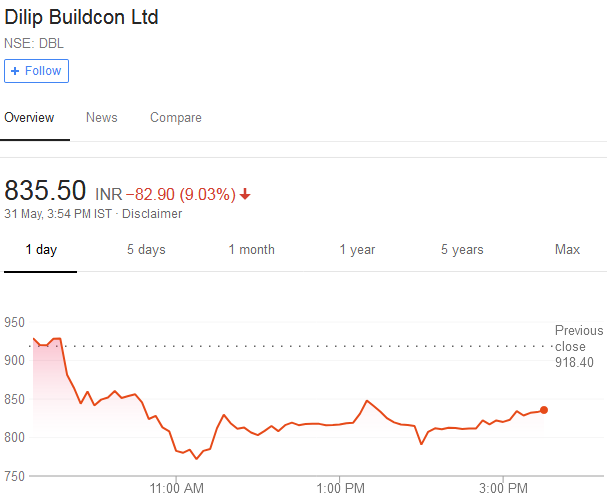 Dilip Buildcon’s description as the “next L&T” was not made by over-enthusiastic punters but by Rohan Suryavanshi, one of the head honchos of the Company. However, rumors of a dispute with the auditors suddenly surfaced and sent the stock tanking like a ton of bricks. The management speedily clarified that all is well between them and the auditors. 'Rumours regarding resignation of auditors are baseless,' says Rohan Suryavanshi, Head-Strategy & Planning of Dilip Buildcon. Stock recovers from lows. However, questions began to be asked whether Dilip Buildcon is the “next Manpasand” and/or “Next Vakranjee”. Why does co have 1660 crs of inventory (1.5x of annual raw material consumption)? What are the intangible assets under development of 350 crs? Why does an EPC Co need this? Odd. Dilip Buildcon : Next Manpasand or Vakrangee ? Naturally, some savvy investors did not want to wait to find out the answer. They bailed out in a hurry, sending the stock spiraling downwards. Today, it sounds atrocious that anyone would have the temerity to describe Kitex Garments as the “next Page Industries”. 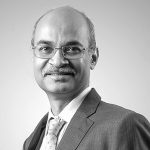 Yet, even distinguished stock pickers like Ravi Dharamshi were taken in by Kitex’s charisma and opined that the stock was comparable to Page Industries and would give “fantastic returns”. Ravi Dharamshi fairly admitted later that Kitex Garments was a “mistake” and that he had exited it before it could cause large damage to his portfolio. 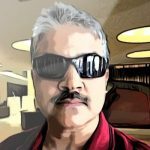 However, Prof Sanjay Bakshi, the authority on value investing, has maintained stony silence over Kitex Garments. The Prof is the original discoverer of Kitex Garments. He had written an elaborate “teaching note” titled “The Importance of Unconventionality” in which all the virtues of Kitex were enumerated in glossy detail. (Unfortunately, the note is now deleted from dropbox). When the stock sank amidst rumors in the valuepickr forum that things are amiss in Kitex Garments, the Prof launched a defiant and no-holds-barred buying action to average the original buying price. As of 31st March 2018, the Prof’s ValueQuest India Moat Fund holds a treasure trove of 14,72,235 shares of Kitex Garments. Guess the prof hasn't given up on his 'intelligent fanatic' yet. is it a case of throwing good money after bad? 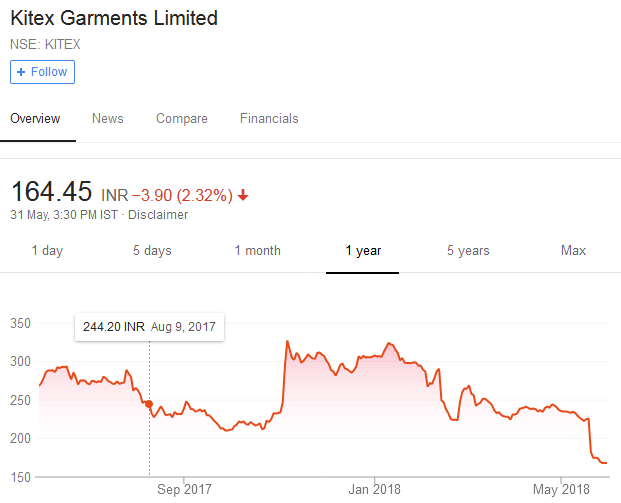 Some knowledgeable experts have boldly described Kitex Garments as the “Next Vakranjee” and a “house of cards” which means that the sensible strategy would be to exit the stock with whatever can be salvaged from it. Kitex – The Next Vakrangee? What ails LEEL, Porinju Veliyath’s crown jewel stock? Porinju Veliyath has adopted the strategy of taking concentrated positions in his high-conviction stock picks. In LEEL (alias Lloyd Electric), Porinju’s EQ India Fund holds a mammoth quantity of 3,303,473 shares as of 31st March 2018. This holding comprises of 8.19% of LEEL’s equity. Unfortunately, today the stock tanked and tripped the lower circuit of 20%. The stock has lost 30% on a YoY basis. According to the MMB punters, the Q4FY18 results are “disastrous”. When I last checked, the punters were in a foul mood due to the unending excuses offered by the management. Porinju has stated that if investors were earlier rationally bullish about a stock at a higher price, they should be even more bullish about it at lower prices. If you were rationally bullish on a stock at 120 in January, it's a screaming buy today at 95! We will have to wait and watch whether Porinju acts on his own advice and buys more of LEEL or prefers to wait on the sidelines for the dust to settle. 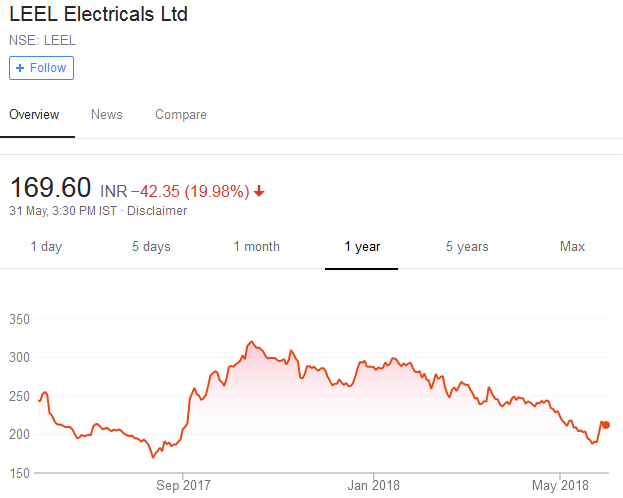 Some punters are also suggesting that Porinju should storm into the Board of Directors of LEEL and demand a seat. Prima facie, this is a good idea because if Porinju becomes an “activist investor” like Billionaires Carl Icahn and Bill Ackman, it will send the fortunes of LEEL surging upwards! Strange that Prof has deleted his Kitex thesis from Dropbox. It should have been a good learning experience. In the end, turns out all this gyan works only if stock moves up, else its useless cr@p.
The biggest and most corrupt are sitting in the central Cabinet. Any idea about the Highways and Ports minister from Maharashtra who once had his driver, mali and sundry as fellow directors of his company to siphon off funds? With all investigative departments in the govt’s hand (esp IT, CBI, MoCI, ED), there has been no check on any of these powerful ministers affairs during or after the demonetisation saga – how much money was laundered by them at that time? There were big rumours that the RS2000 bundles were reached privately to many capitalists (by who else than the govt officials?) and also rumours that the old notes were used to buy real assets prior to the announcement. More than 60000 crores is allotted for highway development, but hardly any devt is being seen in highways, barring PPP models where toll companies spend all the money and recover from the commuters. And bigger surprise is, the CAG, which was so active prior to 2014, has gone to sleep completely. Not a single report has been tabled in Parliament to my knowledge. Is everything hunky dory? The alleged fraudulent companies that are coming out in the open now are from Gujarat (Manpasand) or Maharashtra (Atlanta, Vakrangee) – these two states (with blessings of BJP bigwigs) seems to have taken over from Hyderabad (Satyam et al). Market behaviour is selecting bride. Jain Irrigation with excellent fundamentals is languishing with PE of 14 (2019), whereas people go behind Vakrangee and PCJ. Old D street saying pump and dump! Don’t forget that. However it is a mystery that the activities have been carried out under the nose of the regulator and today thousands of crores have been lost of investors, not gullible this time since these are accounting frauds and beyond the balance sheet statements! Then who shall protect the investors? Some big fund managers are against the big 4, but not supporting those who expose the accounting scandals! How ethical! Perhaps that is how they are so big!! This is not end but just Start of Blood Bath in poor Quality Stocks, many of these may be just showing false profit and sales no and it can not go on as they will be unable to deposit income taxes for long .It always happens when ever market goes up and investors are always warned but they will just blindly buy . Sir, any clue why Majestic research is also spiralling down?